So, I thought I'd finally post some of my stuff on here. 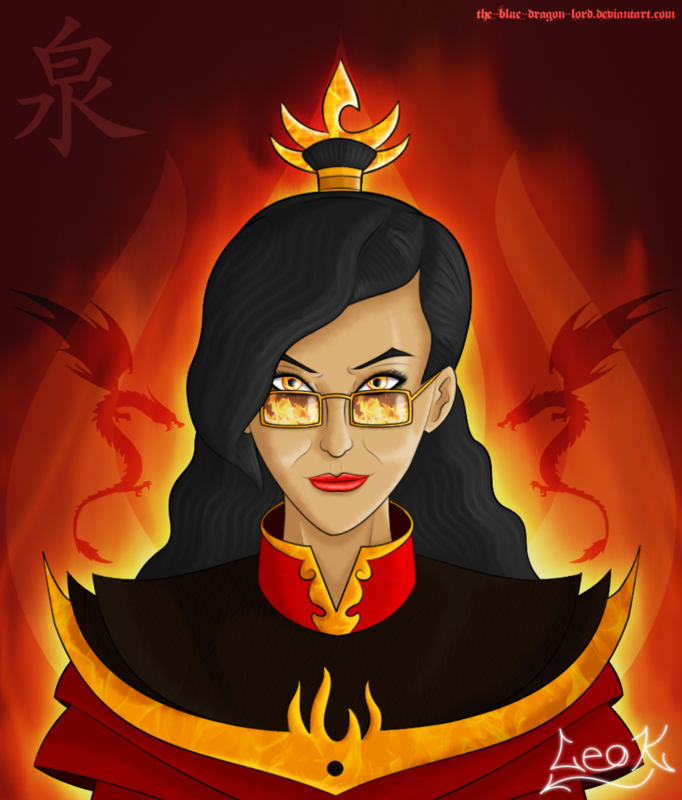 I was going to wait until I was finished with my current art (Fire Lord Azula) but it's taking me forever to do. I've been photo editing on GIMP since 2009, but I started drawing more since last year (mostly practice) and I now use Photoshop CS5. 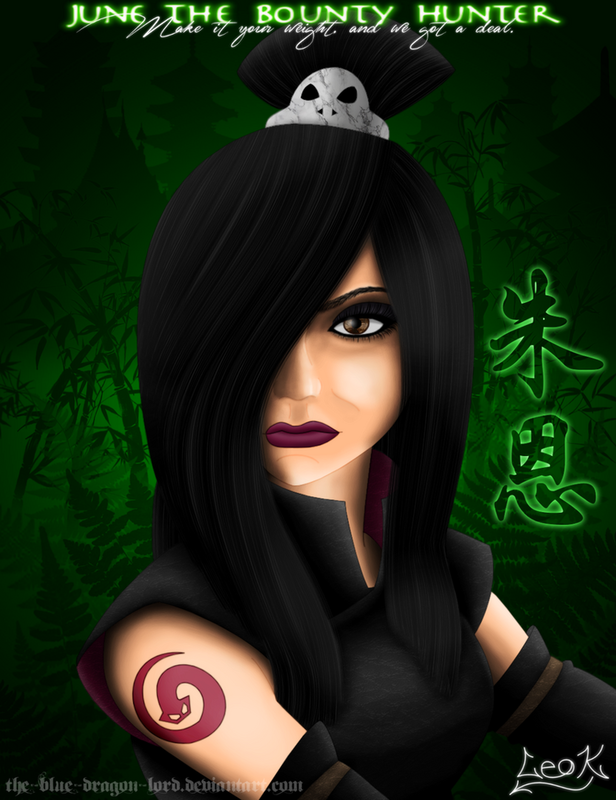 Here's the first Avatar fan art that I made on GIMP, earlier this year. 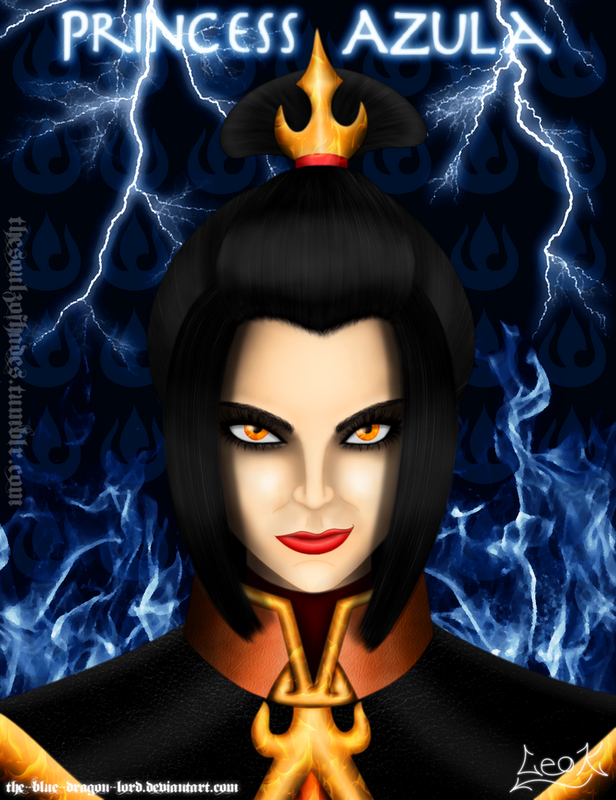 As you may already know, I adore Azula and she was fun to draw. 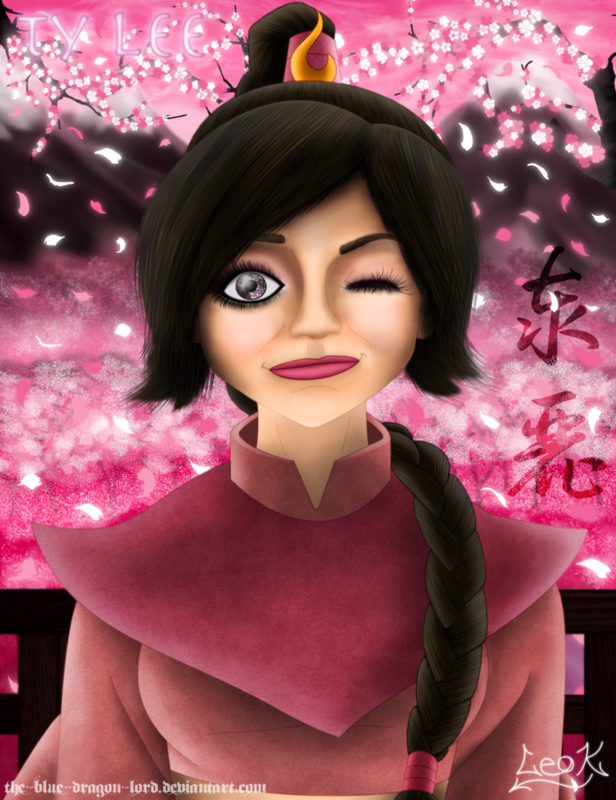 I'm still proud of this one, but I should've made her hair dark brown... I will admit, I traced the outline from a few screencaps of her, but I did all the colouring and shading by myself. It still wasn't easy and took a few weeks. I also used my photo editing skills to give the textures in her armor and eyes. Grey DeLisle faved this one when I tweeted her. https://twitter.com/King_Soulblade/status/450866147743629312 That was another edit that I made to this and was going to be the original, but I prefer this one. I really loved June (I wish there had been more of her! ), so I had to do one of her as well. Another redraw... The hair texture was hard and I had trouble with that. Trying to find the right translation for her name wasn't easy because I don't speak Chinese. This was fun, though and I used vectors for the background. This one I made a few changes and was going to try a more grown look, but she still came out cartoonish. I wanted to keep this one as 'Ty Lee' as possible, though. I tried... This background was my first proper attempt at a landscape. I posted it separate on my Tumblr. Since then, I've been practicing and it still isn't easy because I don't have a tablet to draw and I rely on my laptop. 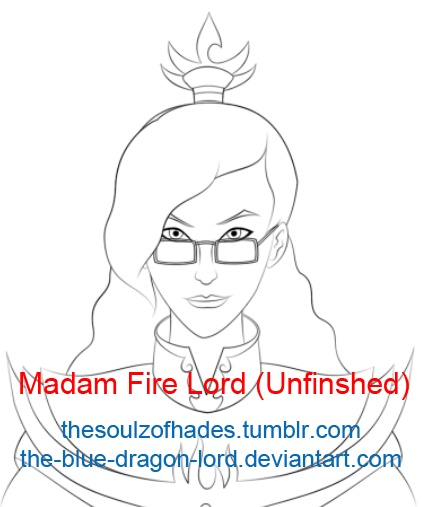 I'm currently working on a "Fire Lord Azula" picture, as I mentioned above. I have much more Azula planned and I wont be tracing. I will be practicing more and maybe I should sketch on paper. I can draw, but it's been years since I did it the traditional way and I'm still new to the whole digital drawing thing. Here is my Deviant Art gallery link: http://the-blue-dragon-lord.deviantart.com/gallery/ Some more of my stuff on there. All posts have descriptions to it and a link that follows to my Tumblr posts and any vector or brush credits. Re: The-Blue-Dragon-Lord's Fan Art & Scraps! wow I love the shading! Here's my version of Fire Lord Izumi! I made an edit and changed the characters that translated as "Fire Lord" to her name. 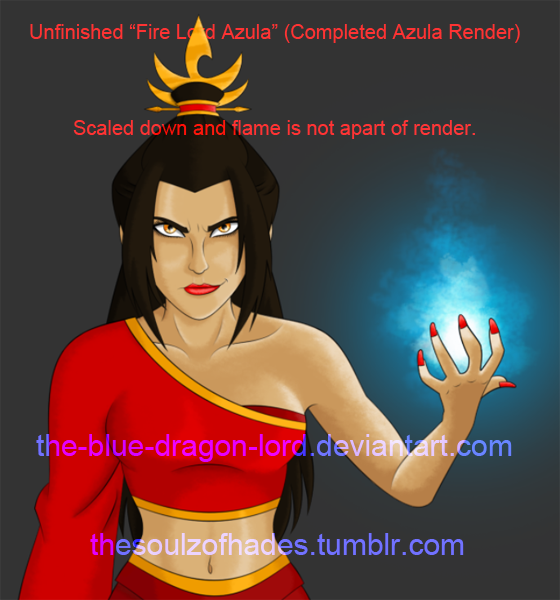 Full size can be found here: http://www.deviantart.com/art/Fire-Lord-Azula-498248394 Click it for a better view! I don't like double posting, but I do have something new that I just finished tonight. I started this about five months ago... I'm so lazy! There's more description on my DA post. Anyway, this is an older version of her. She's supposed to be 25 in this.